I’m spilling all my blog secrets! Want to start a blog, recently started a blog, want to grow your blog or you’re thinking of monetizing? Then this list is for you. First thing’s first: if you’re thinking of starting a blog, check out my step-by-step guide right here. 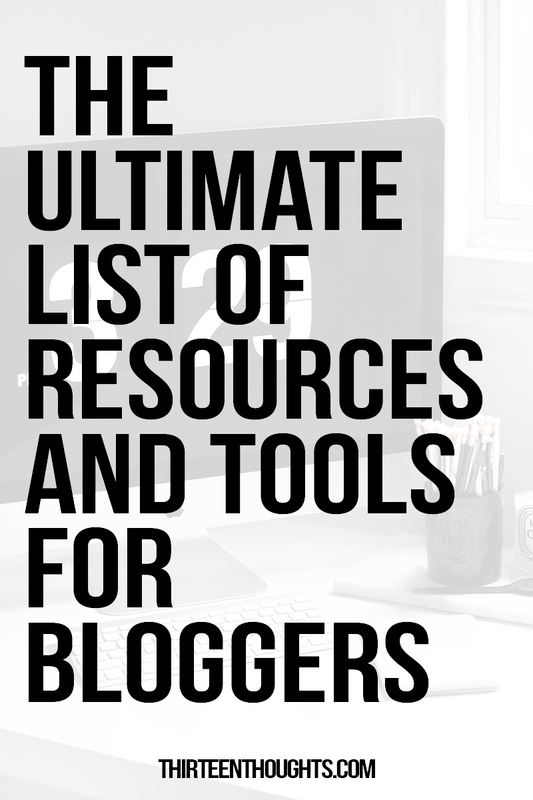 I run a self-hosted WordPress blog and it’s the only platform I recommend for bloggers who plan on monetizing their blogs. Starting a self-hosted blog requires a small investment- a few bucks a month to start but it gives you total control over things like design, advertising, SEO or other customization. When you start a blog, you might find yourself feeling overwhelmed at first. If these are some of the questions you’re asking yourself, see my Blogging: Tips for Beginners post, where I share some of my best blogging advice. As I mentioned in one of my previous Blog Tips posts, there is no right or wrong way to blog. What might work for one blogger, might not necessarily work for the other. The best way to figure out what works for you is to test it yourself- just don’t try to do it all at once. No, you really don’t have to be a skilled writer to become a blogger. I was SO nervous when starting my first blog, especially since English is not my native language. Now, writing is one of my favorite things to do and if I could, I’d spend my days writing, non-stop. Maybe with short bathroom breaks. Some bloggers don’t write at all and only post a few words accompanied by a ton of images. It all depends on what kind of content you create- and keep in mind that it might take some time for you to find your *writing* or *blogging* style. I’ve been blogging for nearly five years, and I feel like my writing style is constantly evolving. If you want to write longer or more detailed posts, don’t let the fear of writing stop you. I actually misspelled “Thirteen Thoughts” by an accident once on one of my Pinterest graphics and felt so embarrassed I almost deleted that entire post. Small mistakes happen all the time and it’s nothing you should be afraid of. BUT you should, of course, pay close attention to things like spelling and grammar. I highly recommend you keep a long list of blog post ideas and write them down as soon as they come to you so that you never feel stuck. Grammarly– can’t tell you how much I love Grammarly and how it’s changed my writing process. Grammarly is an AI text-editing app that checks for grammatical errors, spelling mistakes, and irregular verb conjugations. 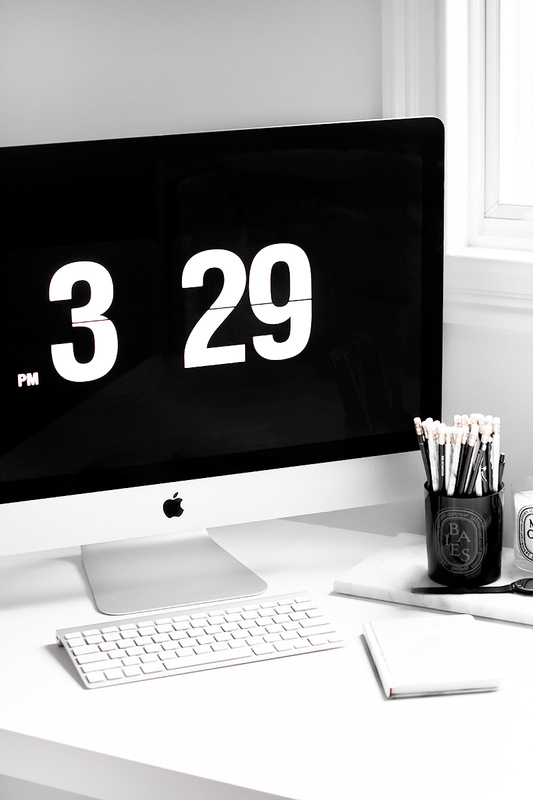 It’s one of my favorite tools I use when editing my posts (I use it as a browser extension)- makes writing so much easier and it’s a must for anyone who wants to take their blog seriously; it just something that will help you become a better writer. This also comes in handy when answering emails. Blog monetization is not something I’ve ever discussed before, even though I obviously make money from running Thirteen Thoughts. Blogging involves some expenses and, in my case, quite a few investments (like camera equipment, photo editing programs, a desktop computer, a PO Box, etc.) so it’s nice to see it all pay off- especially when you’re doing something you love this much. I get a lot of questions about making money from blogging and it’s definitely something I’ll be discussing in more detail in the future. I think that one of the biggest misconceptions, especially for new bloggers, is the thought that the only way to make money blogging is through sponsored posts and ads, all while having a huge amount of visitors each month. Times, when you could make a decent income just by running ads on your site, are long gone- unless you get an insane amount of traffic. My favorite way to monetize my blog is through affiliate marketing. Again, this is something I’ll discuss in a separate post, but I did want to include some of my favorite affiliate programs in this post. One thing that I want to urge you to do when using affiliate links, is to only promote products and services you personally love and trust. Keep in mind that when people place an order for a product or service using your affiliate links, they’re putting their trust in you. You can use affiliate marketing in many different ways including but not limited to: text links, banners, or widgets. It makes a lot more sense to display affiliate banners or widgets in place of ads, as those have a potential of earning you more money. ShareASale– This is another affiliate program I use and love. Once you sign up, you can search for merchants and/or products and apply for programs you’re interested in. They have merchants from pretty much every niche and you can apply to refer brands like Wayfair, ModCloth, Beautylish. 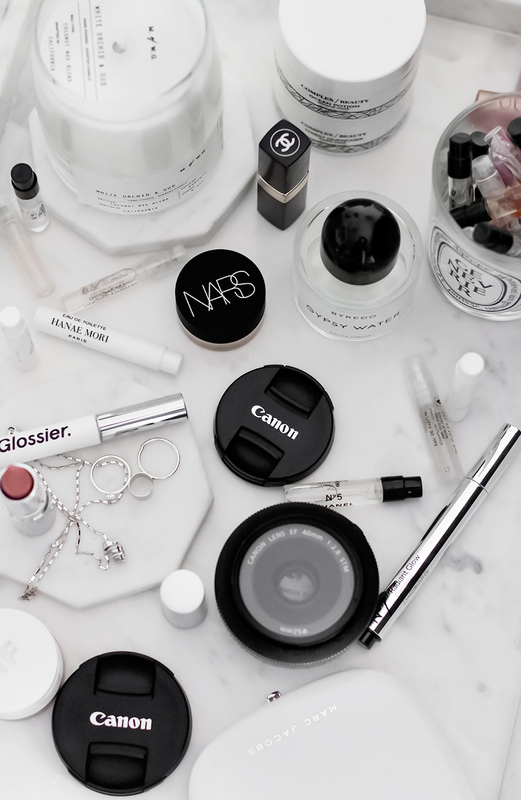 Each brand/merchant pays different commission- Beautylish, for example, pays 10% per sale, some merchants pay a fixed amount per sale. Photography is a huge part of blogging for most bloggers. Our different styles and vibes are what often sets us apart from one another. These are a few resources that you will find helpful if you’re a beginner. Bridge– another Adobe program I highly recommend; it’s a desktop media organizer. This is what I use for organizing my images, import RAW files to Photoshop and import photos from my camera. Very easy to use and I love how well this works with Photoshop– you just click on the image you like while browsing through imported photos, and it automatically opens up in Photoshop. The best part is that if you have a Creative Cloud subscription, you can download Bridge for free. White Marble Background– I always get asked about my photo background, I actually used contact sheet paper to change the look of my kitchen/dining room coffee table and that’s where I usually take my photos. I linked to the exact same marble paper I use in this post. Do you really need a DSLR to take beautiful images for your blog? Nope. These days you can even use your phone for blog photography. 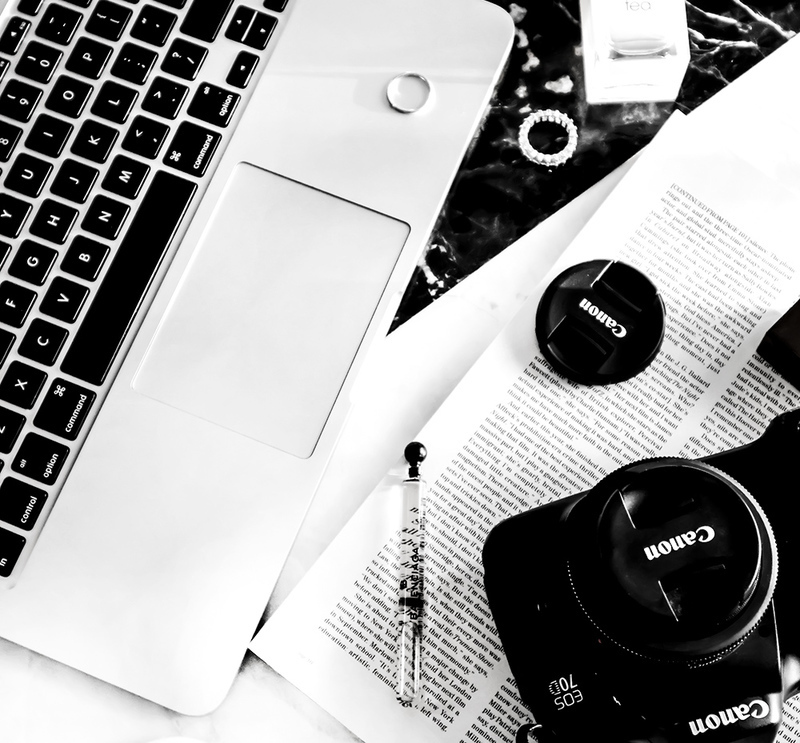 I personally love my DSLR and can’t imagine blogging without it, although the process of learning to use it was quite frustrating- which is why I love sharing what I’ve learned. A lot of times (especially on my Instagram) I get asked: “what camera do you use? !” and in all honesty, it’s not as simple as buying the same camera as someone whose photos you love. Nevertheless, I still list and link to all of my equipment, as it’s something I get asked all.the.time. Canon 70D– my DSLR camera that I use for blog photography and for taking family photos. There’s nothing about this camera that I don’t love. I also used to use it for filming videos- it’s a great piece of equipment. 50mm f/1.4– my favorite lens to use, especially when I want to achieve that shallow depth of field (the *blurry background*), also comes at a more affordable version, known as the *nifty fifty*. This lens pretty much does all the work and I love using it for taking portraits of my friends and family too. 40mm f/ 2.8– another one of my favorite lenses, also called the *pancake lens* I love to use it when I’m traveling as it’s very small and light. For blog-photography purposes, I only use these two lenses as they’re perfect for shooting things like flatlays and product close-ups. They’re also fixed lenses, meaning, they won’t zoom in and out. Tripod– another must for me, especially for swatch photos or when taking photos while working with limited light. Etsy– Etsy probably doesn’t need an introduction. In addition to finding unique jewelry or clothing, you can also find both WordPress and Blogger themes and templates on there. PicMonkey– in-browser editing app I’ve used for years before switching to Photoshop. You can edit photos, design graphics and PicMonkey constantly adds new features and tools to the program. Photoshop– I use Photoshop to edit all my blog and Pinterest Images. The days when you had to spend a fortune on Photoshop are over- I pay around $10 a month for my subscription. This has been a life-changer for my blog photos. It’s no secret that I love Pinterest- I talk about it in almost every single one of my Blog Tips posts. I get over 4 million monthly views on Pinterest and can easily say that my blog wouldn’t be doing nearly as well as it is if it wasn’t for Pinterest. Pinterest is a great place to grow your blog- especially if you automate it and take advantage of group boards. I’m sure you all realize that it’s not easy to present everywhere as a blogger- especially when also working full-time and having “a life”. I highly suggest you automate what you can, and focus on a few outlets or social media channels that drive the most traffic to your blog. For me, this happens to be Pinterest. Tailwind– Tool I use to automate my Pinterest and schedule my pins. I was able to grow my Pinterest to over 23,000 followers in less than a year; Pinterest is also my main source of traffic. I only spend about one hour a week working on Pinterest- all thanks to Tailwind. I discuss Tailwind in more detail in this post. Disqus– I’ve switched from WordPress commenting system to Disqus and I’m really happy with the change. I get a lot less spam and it’s much easier to track and respond to comments, I was also able to “transfer” all of my previous WordPress comments without a problem. Social Warfare– social sharing plugin that adds beautiful share buttons to your posts. I have a pro version of this plugin that allows me to add a specific Pinterest image as well as the Pinterest description- something that is SO important when it comes to Pinterest SEO. I’ve used a lot of different share button plugins, and this one is my favorite. You can set the buttons to *float* so that they don’t just appear on the bottom of your post- this makes sharing so much easier for your readers.